Design Lamp Terracotta for garden to produce a nice lighting of plants all around. 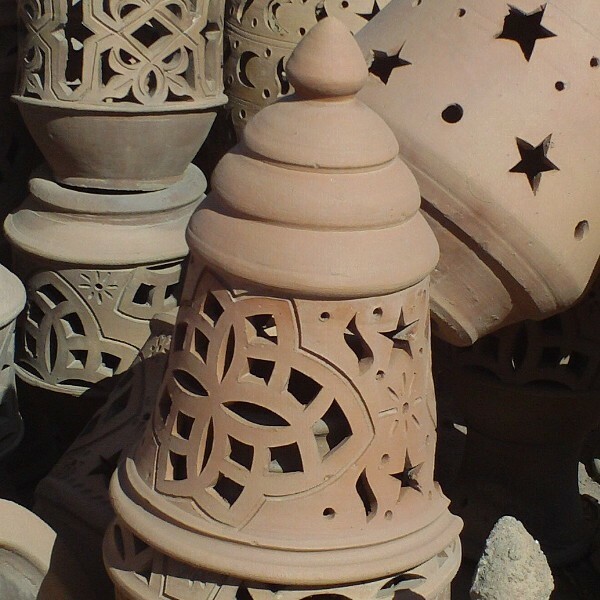 Moroccan Pottery of Morocco. See also the Moroccan wall sconces.